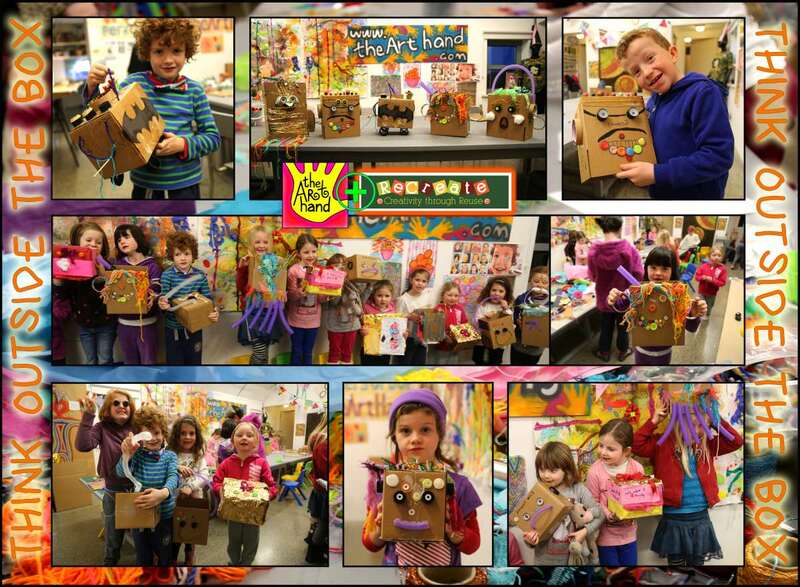 Below are some pictures from a recent Teacher Training workshop in full swing here at The Art Hand. We have now extended the popular ‘Get Creative and Pass it on’ course with a Part 2 workshop which covers a completely new range of art topics for primary school classrooms. The Part 2 course is available to all teachers not just those that have completed Part 1. You can always return to do Part 1 at another stage. 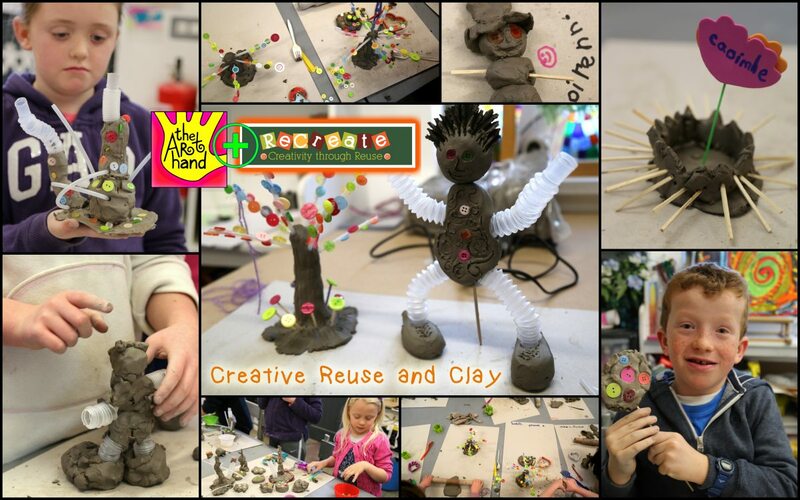 Topics covered in Part 2 include Clay Sculpture, Self Portraits, 3D Objects and Art in the Outdoors. The photos shown here are from a recent Part 1 course in progress which included Collaborative Art to Music, Printing with Polystyrene, Foam Mosaic and Map-Making. These courses take place at The Art Hand with Sean and Miranda Corcoran sharing the role as main tutor. 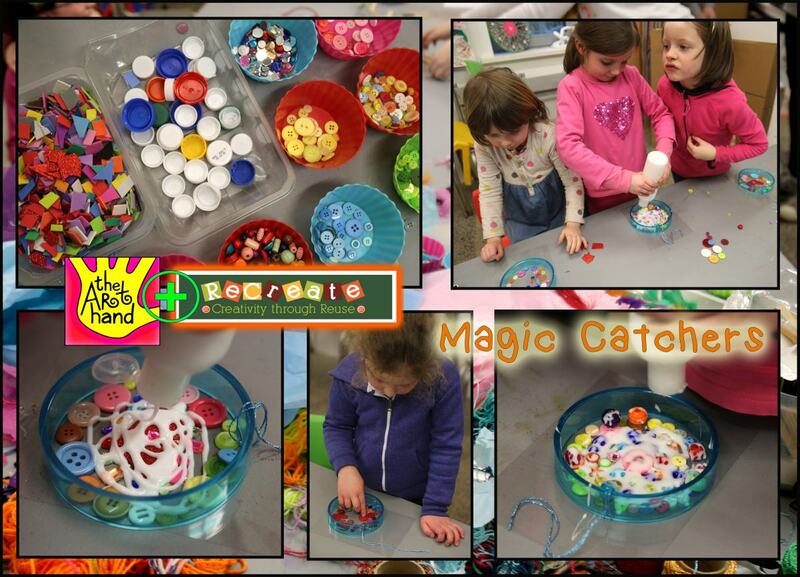 Below are some of the kids workshops we have developed using materials from Recreate Ireland. We will be introducing teachers to the concepts of Creative Reuse at an upcoming workshop in the Waterford Teachers Centre. Sean Corcoran of The Art Hand will join forces with Louise Osborne, the Arts Administrator of Recreate Ireland to bring you The ReCreate Revolution Arts Workshop “MAKE ART NOT WASTE”. 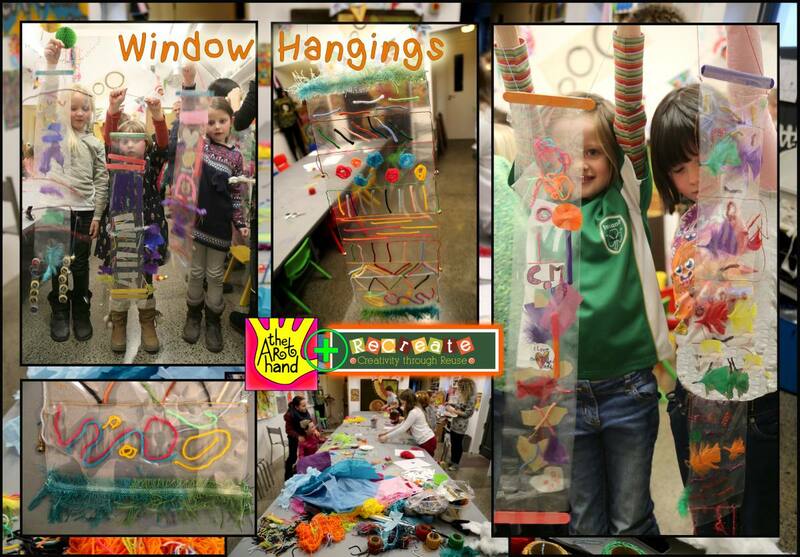 Below are some pictures that will give you an idea of the interior of The Art Hand. 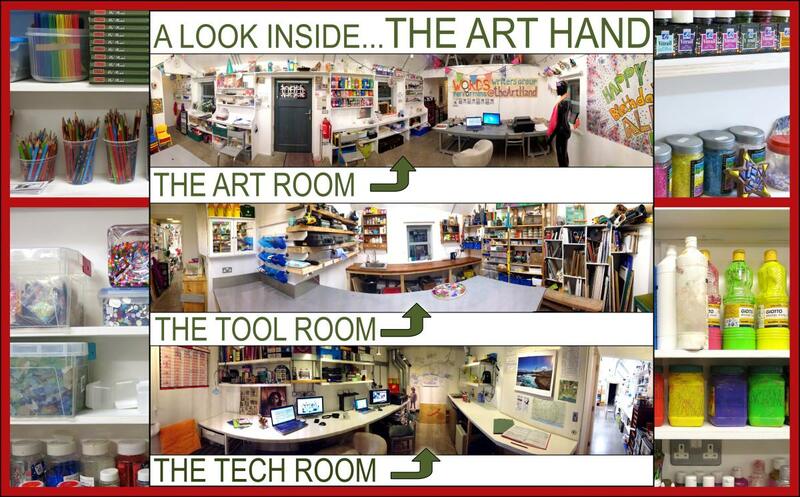 It’s a compact but practical space consisting of a main art room for most of our workshops, a tool room for our stained glass and mosaic projects and a tech room for our film editing and office admin. The place is full of sample artworks and a vast array of art supplies. It is often described as an inspirational place. We cater for kids up the age of 12 as well as running adult and teachers courses. This entry was posted in Adult Art Classes, Creative Reuse, Primary Schools Art, Teacher Art Training and tagged art classes, childrens art, Creative Reuse, kids art project, Miranda Corcoran, primary school, primary schools art, Recreate Ireland, Recycled Materials, Sean Corcoran, Teachers Art Workshops, The Art Hand, The Copper Coast, waterford, Waterford Teachers Centre. Bookmark the permalink.